Justice Kurian Joseph asked a very interesting question, what is sinful in the eyes of God can it be lawful in the eyes of man? If there is something abhorrent in religion can it be a man made law? To which Khurshid replied and said we need to decide whether triple talaq is abhorrent or not. Chief Justice of India wanted to know whether, in 1937 Shariat Application Act, customs and usage in religion were made subservient to Muslim Personal Law or not? Tell us whether Triple Talaq is custom/usage or fundamental to Islam? Where does it lie, Shariat or customs and usage? Regarding the confusion as to which the school of thought in Islam holds which view, Salman Khurshid suggested that the bench should invite people from each school to lay down their thought or ask AIMPLB as they represent members from all these schools. Khurshid stated what is a marriage contract in Islam and how by the means of terms and conditions a woman can insert clauses in the contract stating that she won't accept triple talaq at one go and how Talaq-e-Tahfweez can also be there where the husband delegates the right of divorce to the wife by way of contract itself. Salman Khurshid, amicus curiae began submission. He laid down what exactly is the process of talaq. Later, explains what is iddat and how is it important to determine paternity of the child, if the wife is expecting while being divorced. He further stated that a period of three months have to be observed between each utterance making it a period of 9 months till the divorce becomes irrevocable. The bench questions Khurshid as to what is the law in Saudi Arabia and says that all the legislation was given to them from foreign countries to prove the unconstitutionality of triple talaq doesn't mention Saudi Arabia. To this, a member advocate from the petitioner side stated that people in Saudi Arabia are Ahle Hadees (people who follow the prophetic sayings) and they have long outlawed instant talaq. The bench has now demanded documentary proof. Click to Read | Why SC Refused to Look Into Polygamy Along With Triple Talaq? All India Shia Personal Law Board (AISPLB) spokesperson Maulana Yasoob Abbas said: "He welcomed the Supreme Court's observation. "Time has now come to decide whether Prophet's Islam will reign supreme or the Islam of a selected few mullahs." "Many Muslim countries have already put an end to the practice as it is directly linked to the lives of Muslim women. In the Shia community, there has been no place for triple talaq in one go." Union Minister Mukhtar Abbas Naqvi said: Triple talaq was not a religious issue but related to "social ills", stressing that the ongoing debate on the practice would have a "positive" impact on the people. The Centre said in the Supreme Court in October last year the practice was not an "integral" part of religion. It had favoured a relook at triple talaq on grounds of gender equality and secularism. RECAP | Senior advocate Amit Singh Chadha opened the arguments for Shyara Bano, who was one of the first petitioners, saying neighbouring Islamic countries like Pakistan and Bangladesh have banned triple talaq by terming it as un-Islamic, senior lawyer Anand Grover, appearing for Bharatiya Muslim Mahila Andolan, stated that triple talaq was not a part of Sharia law. Senior advocate Indira Jaising, who is opposing the practice of triple talaq praised Muslim personal law, saying it was better than the Hindu practices as at least the consent of the bride is taken before solemnisation of marriage. Arguing that all personal laws in India should stand the scrutiny of fundamental rights guaranteed under the Constitution, Jaising said the consent of the bride is implied in the case of Hindu marriages the moment brides enters the 'mandap' (marriage hall), which is not the case in Muslim personal law. "In a way, Muslim personal laws is somehow better. There is at least express consent of the woman to marriage. In Hindu practices, it is implied the moment a woman enters the 'mandap'," she told the court. The Centre, through law officers Tushar Mehta and Pinky Anand, maintained that it was not taking any side and was assisting the five-judge Constitution bench on the issues of gender justice, equality for women and dignity of women and the main arguments would be advanced by Attorney General Mukul Rohatgi on Monday. The All India Muslim Personal Law Board and other Muslim organisations will get a chance in the course of the hearing, likely to go on for at least five days, to present their stand on these sensitive issues. Senior advocate Yusuf H Muchhala will appear for some Muslim organisations. 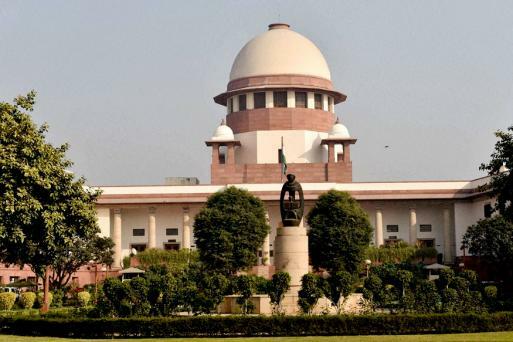 A battery of senior advocates on Thursday advanced arguments in the Supreme Court which commenced the crucial hearing on a clutch of petitions challenging the constitutional validity of the practice of triple talaq and 'nikah halala' among Muslims. They argued that the practice of triple talaq was not fundamental to Islam and can be done away with to be in sync with the present social situation, besides being violative of the right to equality of Muslim women guaranteed under Articles 14 and 15 of the Constitution.